At Clear View we enjoy working with clients to custom design and make windows and doors to suit the exact features of their home. 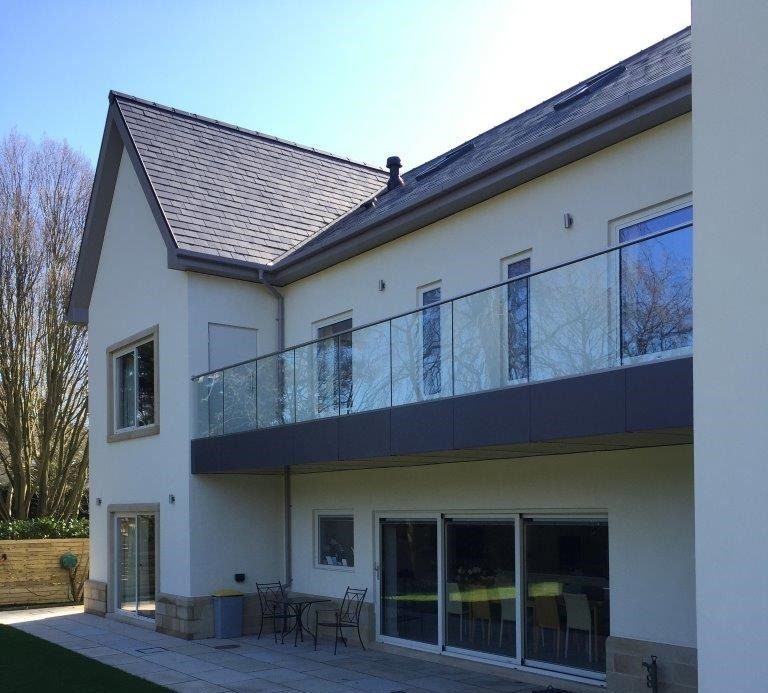 We recently helped to transform a two storey house in Wetherby, North Yorkshire by fitting a series of bespoke windows and doors to the property. 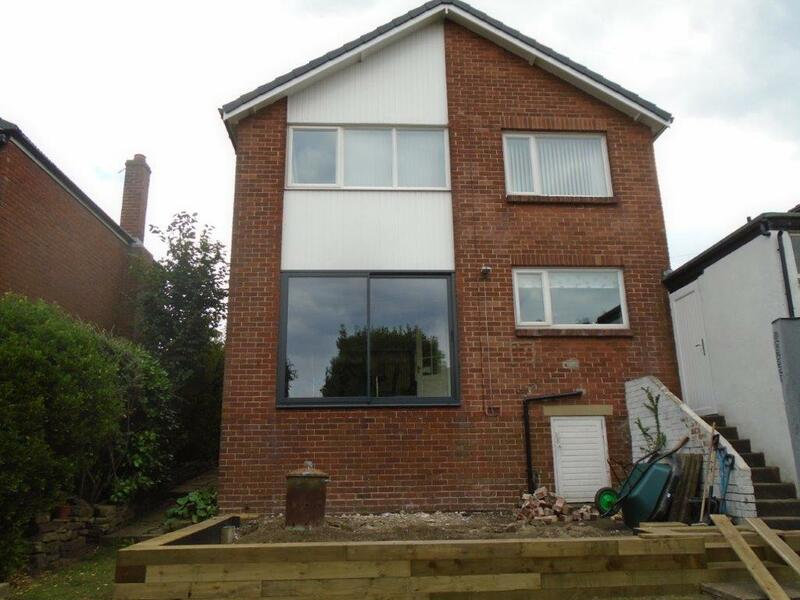 The homeowners wanted to enhance the external appearance of their property as well as make it more energy efficient in the process. 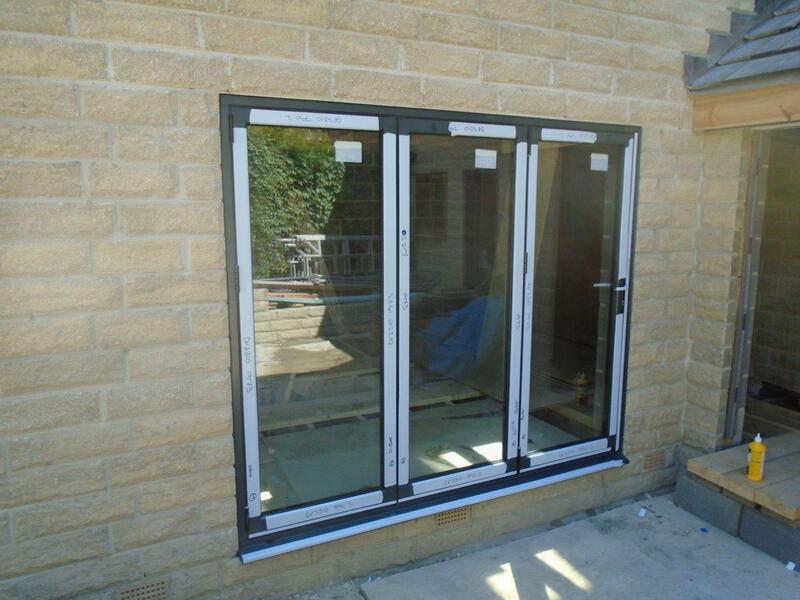 They chose 4mm toughened glass with 20mm argon cavity for the glass, along with inbuilt blinds for one of the sets of doors and some of the windows. For added privacy, opaque glass was selected for two of the windows in the house too. 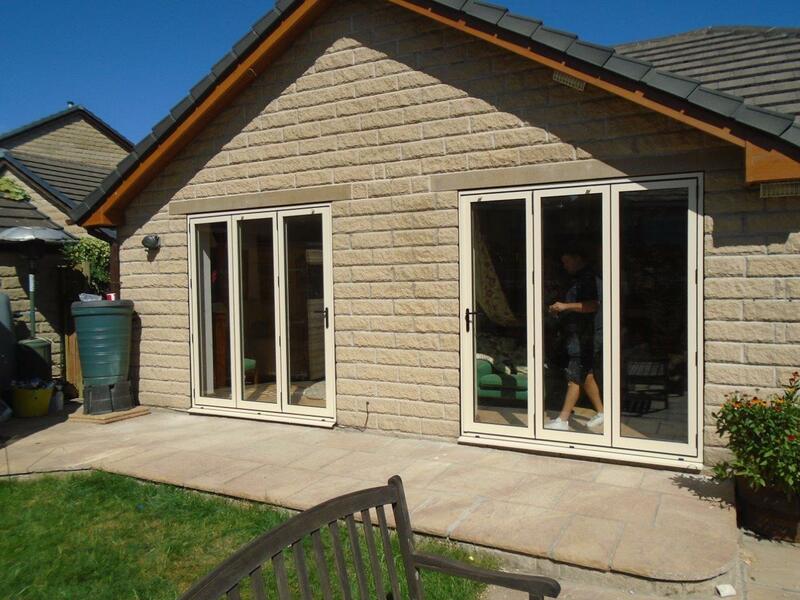 Amongst the bespoke aluminium doors and windows which were installed by our team was a three panel sliding door. The addition of this door to the home means that the downstairs dining area can now open out directly onto the patio. This is perfect for extending the room on a sunny day as it now provides a seamless link between indoor and outdoor space. A series of long, narrow windows were also fitted in the turret of the house. The addition of these windows has meant more light now enters the home and the once dark and dreary staircase is now flooded with light, making it a much more attractive space. The clients were very happy with the work that was completed. Clear View have been designing, manufacturing and fitting aluminium doors and windows since 2010. During this time we have built up a great reputation for installing high quality products that help transform homes. For more information about the services we provide or to arrange a free, no obligation quote please get in touch today on 0800 1357167.